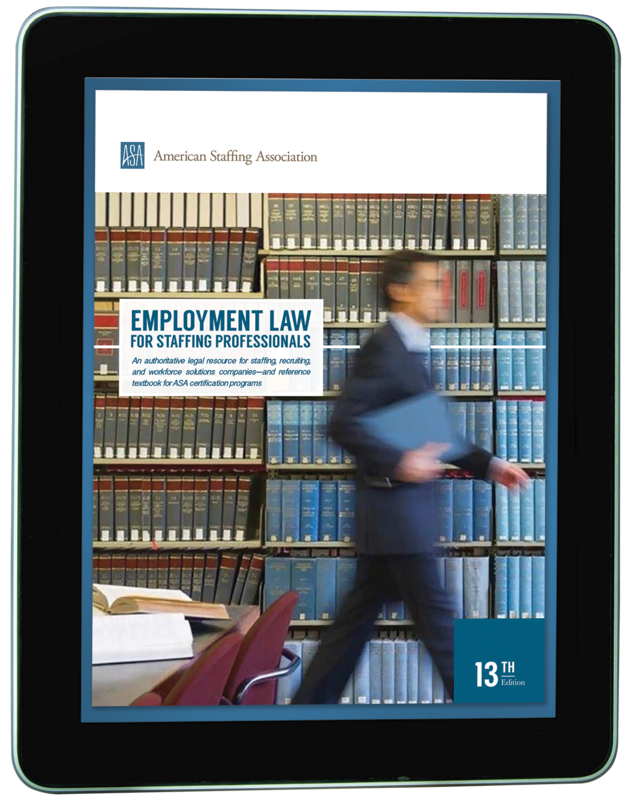 Newly updated editions of the industry’s most important legal resources are now available from the American Staffing Association in both print and ebook formats. These must-have legal resources are available for Kindle and Nook as well as Apple and Android mobile devices. 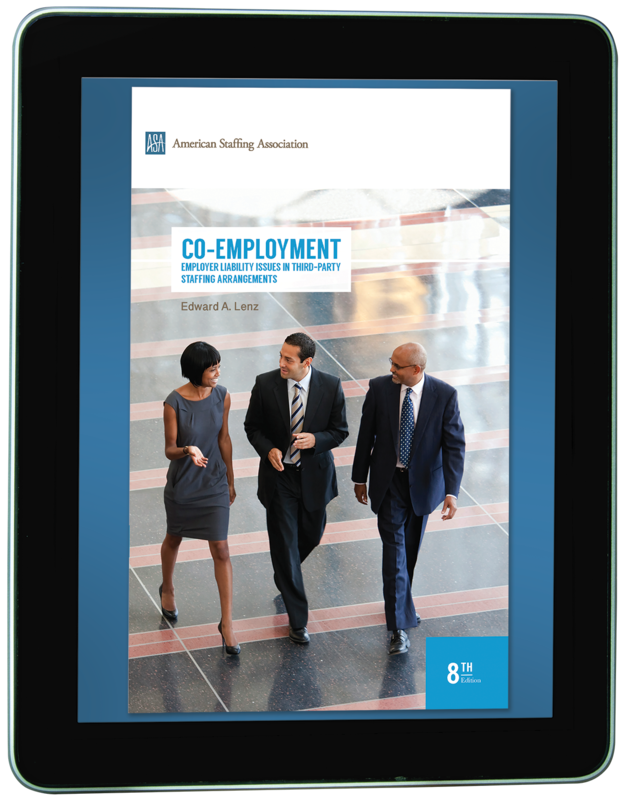 Industry professionals who are studying the text can use the ebooks to search and bookmark content. Special Offer: Get ASA-Certified Today! From Nov. 30–Dec. 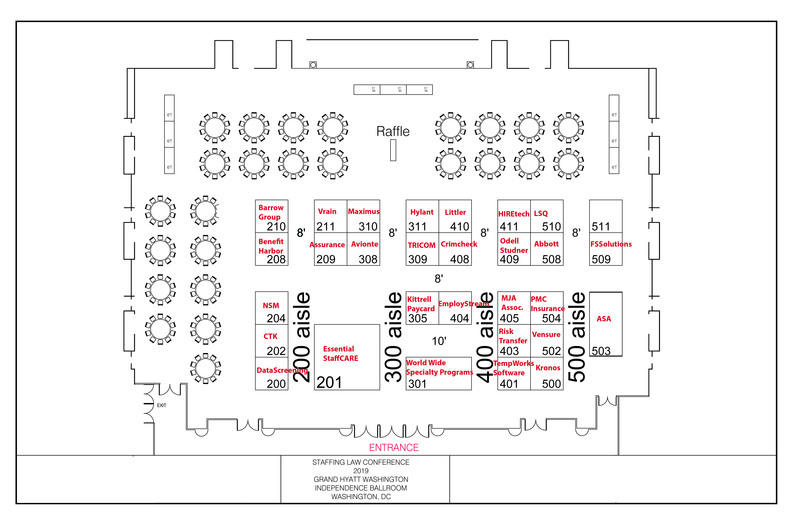 31, all certification study materials, exams, packages, lapel pins, travel mugs, and certificate frames are 25% off! Use promotion code HOLIDAY2018 in the ASA Store by Dec. 31.